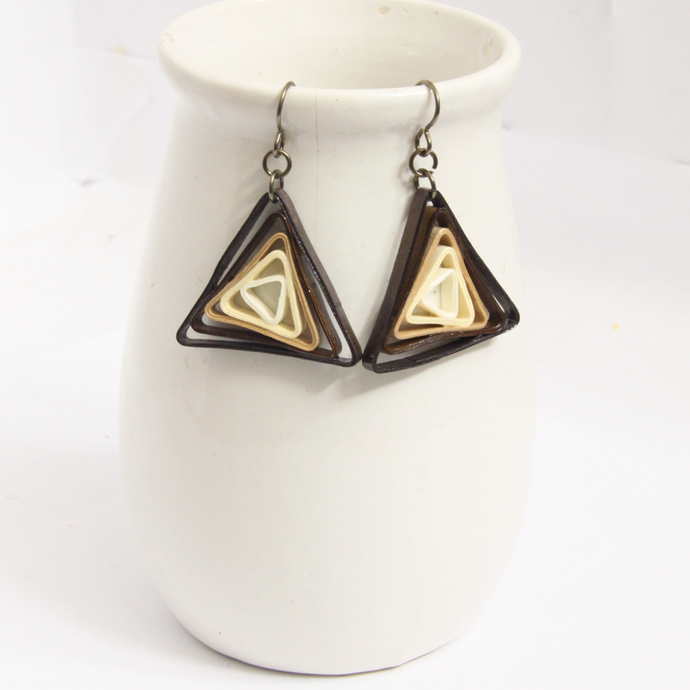 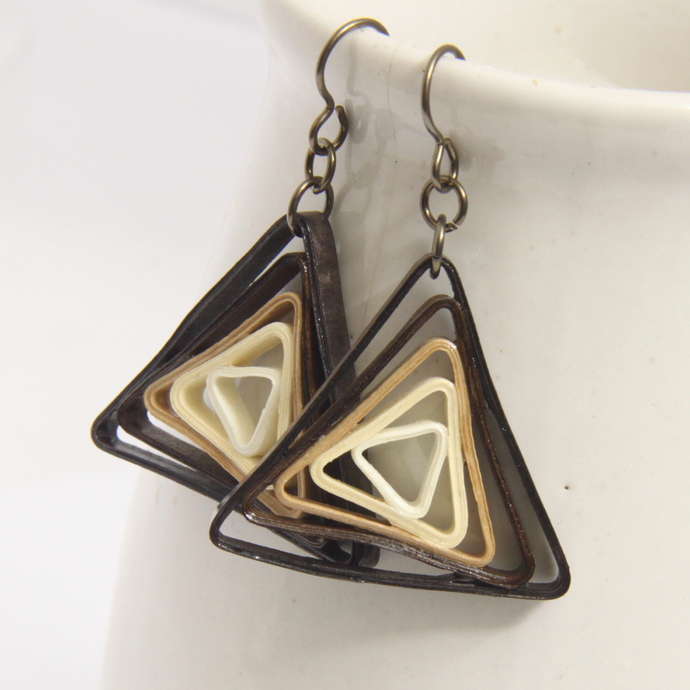 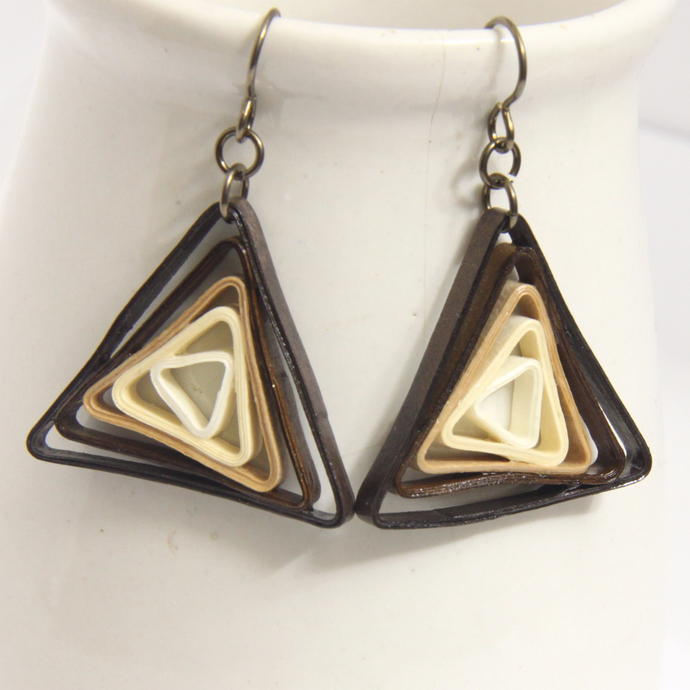 This geometric style earring is the perfect gift! 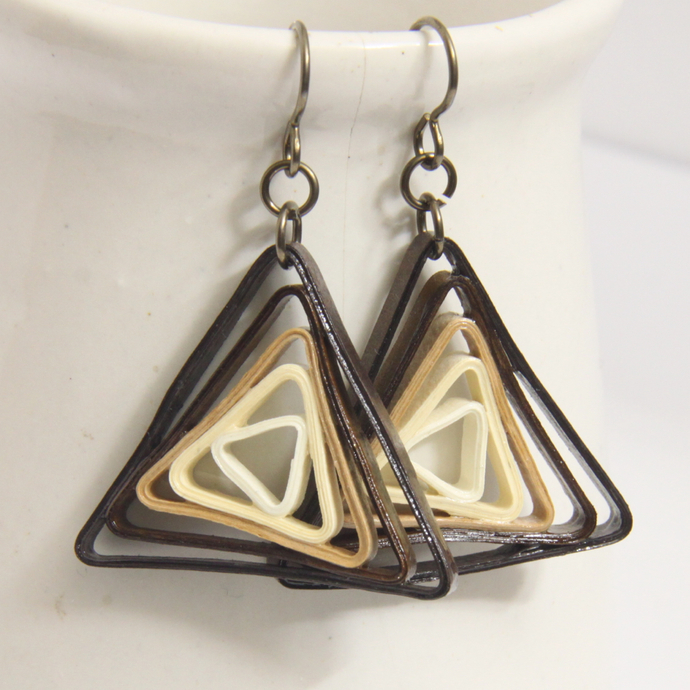 The beautiful triangular swirl pattern in brown gradient hues is eye catching and fun. 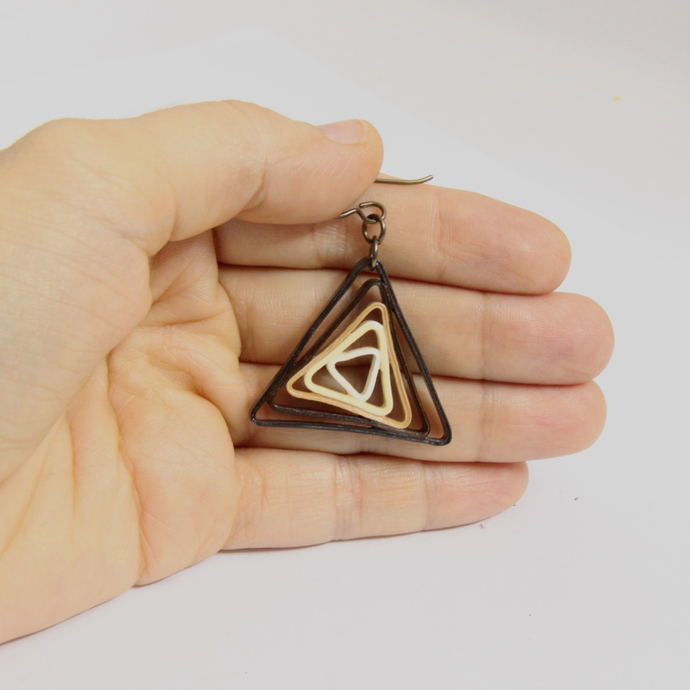 Each earring measures 1 1/4" (2.5cm) wide at the base and are 1 1/8" (2.8cm) long not including the earwires or jump rings.